Cardio Debate > Cardio Notes > Treatment and Prevention > Percutaneous Coronary Intervention (PCI): a therapeutic myth? Percutaneous Coronary Intervention (PCI): a therapeutic myth? PCI IN PATIENTS WITH STABLE ISCHAEMIC HEART DISEASE – A THERAPEUTIC MYTH? Contrary to expectations, large randomised studies have demonstrated percutaneous coronary intervention (PCI) not to reduce mortality or the incidence of acute myocardial infarctions in patients with stable coronary artery disease. Symptom relief is therefore considered to be the primary goal of PCI in patients with chronic stable angina. 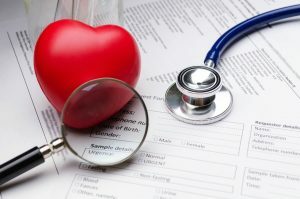 Very recently, however, the ORBITA study, a double blind multicentre randomised trial of PCI versus a placebo procedure for angina relief carried out in the UK and published in The Lancet, (1) showed that in patients with medically treated angina and severe coronary stenosis, PCI did not increase exercise time significantly compared with a placebo procedure. ORBITA enrolled patients with ≥70% single-vessel coronary artery stenosis who received 6 weeks of medication optimisation followed by pre-randomisation assessments with cardiopulmonary exercise testing, symptom questionnaires and stress echocardiography. Patients were randomised to undergo PCI or a placebo procedure. After 6 weeks of follow-up, the assessments carried out before randomisation were repeated at the final assessment. The authors assessed the difference in exercise time increment between groups. 230 patients with ischaemic symptoms were included in the study with 200 patients randomised as follows: 105 patients were assigned to PCI and 95 assigned to placebo procedure. Mean area coronary stenosis was 84·4% (SD 10·2), fractional flow reserve 0·69 (0·16), and instantaneous wave-free ratio of 0·76 (0·22). The main result of the study, as reported by the authors, was that “no significant difference was observed in the primary endpoint of exercise time increment. There were no deaths and serious adverse events included the following: pressure-wire related complications in the placebo group, which required PCI, and five major bleeding events, including two in the PCI group and three in the placebo group”. The results of this study may change practice in relation to management of chronic stable angina. Contrary to current belief, jointly shared by Interventional cardiologists and patients with stable angina alike (12), PCI does not appear to be better than a placebo intervention for the management of symptomatic patients with stable angina. As discussed in the manuscript (1), “in the absence of blinding, the effect size of PCI on symptomatic endpoints can be overestimated because of the addition of the placebo effect to the true physiological effect of intervention”.14 It is worth noting that as indicated by the authors, “in all previous trials, both investigators and patients were aware of the treatment allocation” and this could have markedly affected the results. Findings in the ORBITA study, particularly if further confirmed by larger studies, will have major implications for the future of coronary intervention worldwide. Comments from the interventional community regarding the ORBITA study findings are eagerly awaited. Rothberg MB, Sivalingam SK, Kleppel R, Schweiger M, Hu B, Sepucha KR. Informed decision making for percutaneous coronary intervention for stable coronary disease. JAMA Intern Med 2015; 175: 1199−206. Schulz KF, Chalmers I, Hayes RJ, Altman DG. Empirical evidence of bias. Dimensions of methodological quality associated with estimates of treatment effects in controlled trials. JAMA 1995; 273: 408−12.